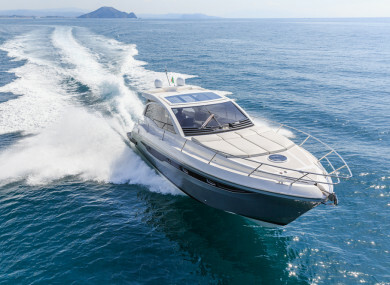 A WORKER AT an Irish amusement company was forced to resign from his job under duress after he was brought out to sea in a speed-boat by his boss where he was aggressively questioned for an hour over a missing €10,000. In the case, the worker said that during the questioning on the boat, 2.6 miles from shore, reference was made to the fact that he would not be able to reach land by swimming because of the coldness of the water. The boat trip took place on a day off from work for the employee and the worker said that when they returned to shore, he was forced to resign from his job when he signed a resignation letter that had been prepared for him. The letter, dated 27 April 2017, prepared by the company’s Human Resources (HR) manager stated “I refer to our conversation this morning and wish to confirm my decision to resign with immediate effect” and was signed by the worker. On the speedboat incident, the worker said that he subsequently made a complaint to the gardaí but that no criminal prosecution had followed. The award is low as the man has been in receipt of disability payments since resigning his post. Also, as the man has been unavailable for work, he is deemed not suffering any financial loss. Donnelly found that the man was unfairly dismissed in spite of the company director offering a version of events that was completely at odds with the worker’s account. The company director said that he invited staff out on his boat to prepare for a new season and only two staff decided to come with him. The firm operates a number of amusement arcades and the director said that the boat went out for about 2.6 miles to a marker buoy and then returned slowly to the harbour as there was a problem with the engine. The director stated that the party then returned to the workplace and the worker went on a break. The director then decided to have a meeting with the worker regarding concerns that had arisen in relation to customer numbers using the facility for which the worker was responsible. The purpose of the meeting, which was informal, was to see if the worker could assist in identifying the reasons for the decline in numbers. According to the director, the worker refused to answer questions stating that if the respondent did not trust him then he would resign. After a time the director went and asked the HR manager to join the meeting and again the worker repeated his wish to resign. However, Donnelly said that the director’s story of inviting the worker to participate in a boat trip, decided upon at short notice because it was a nice morning, “simply does not ring true”. Donnelly stated: “On the balance of probabilities, the resignation of the complainant was brought about by duress due to the actions of the respondent”. Donnelly concluded that the course of action adopted by the employer “was so unreasonable as to justify the complainant terminating his employment”. Email “'Unforgivable': Worker quits job after boss takes him out to sea to quiz him over missing €10k”. Feedback on “'Unforgivable': Worker quits job after boss takes him out to sea to quiz him over missing €10k”.